The SCERTS® Model is a research-based educational approach and multidisciplinary framework that directly addresses the core challenges faced by children with ASD and related disabilities, and their families. SCERTS® focuses on building competence in Social Communication, Emotional Regulation and Transactional Support as the highest priorities that must be addressed, and is applicable for individuals with a wide range of abilities and ages across home, school and community settings. SCERTS (Prizant, Wetherby, Rubin, Laurent, 2007) www.scerts.com, provides specific guidelines for helping a child become a competent and confident social communicator, while preventing problem behaviours that interfere with learning and the development of relationships. SCERTS provides developmentally grounded goals, as well as a framework for selecting evidence-based strategies or elements of practice to meet these goals. The result is a programme for supporting children and their families that focuses on meaningful progress within everyday routines at home, school and the community. Since 2010, Puzzle Centre has incorporated the SCERTS assessment and planning programme by training all of our staff in its rationale and use and thoroughly embedding the framework in our practice, both within our specialist centre and in our outreach assessment and support service for families and schools. — Transactional Support— the development and implementation of supports to help partners respond to the child’s needs and interests, modify and adapt the environment, and provide tools to enhance learning (e.g., picture communication, written schedules, and sensory supports). Specific plans are also developed to provide educational and emotional support to families, and to foster teamwork among professionals. The SCERTS model targets the most significant challenges faced by children with ASD and their families. This is accomplished though family-professional partnerships (family-centered care), and by prioritizing the abilities and supports that will lead to the most positive long-term outcomes as indicated by the National Research Council (2001; Educating Children with Autism). As such, it provides family members and educational teams with a plan for implementing a comprehensive and evidence-based program that will improve quality of life for children and families. The SCERTS Model can be used with children and older individuals across a range of developmental abilities, including nonverbal and verbal individuals. It is a lifespan model that can be used from initial diagnosis, throughout the school years, and beyond. It can be adapted to meet the unique demands of different social settings for younger and older individuals with ASD including home, school, community, and ultimately vocational settings. How does SCERTS compare to other approaches? The SCERTS curriculum provides a systematic method that ensures that specific skills and appropriate supports, stated as educational objectives, are selected and applied in a consistent manner across a child’s day. This process allows families and educational teams to draw from a wide range of effective practices that are available, and to build upon their current knowledge and abilities in providing an effective program. One of the most unique qualities of SCERTS is that it can incorporate practices from other approaches including contemporary ABA (e.g., Pivotal Response Treatment, LEAP), TEACCH, Floortime, RDI, Hanen, and Social Stories®. The SCERTS Model differs most notably from the focus of “traditional” ABA, an approach that typically targets children’s responses in adult directed Discrete Trials, by promoting child-initiated communication in everyday activities, and in drawing extensively from research on child and human development. The SCERTS Model is most concerned with helping persons with autism achieve “Authentic Progress”, which is defined as the ability to learn and spontaneously apply functional and relevant skills in a variety of settings and with a variety of partners. Click here to download SCERTS Collaborator Barry Prizant’s, Is ABA the Only Way? article from Autism Spectrum Quarterly. The SCERTS Model collaborators include the team of Barry Prizant, Amy Wetherby, Emily Rubin, and Amy Laurent, who have training in Speech-Language Pathology, Special Education, Behavioral and Developmental Psychology, Occupational Therapy and Family-Centered Practice. The SCERTS Collaborators have more than 100 years experience in university, hospital, clinical and educational settings, are actively involved in clinical work, research, and educational consultation. The collaborators have published extensively in scholarly journals and volumes on ASD and related disabilities. A comprehensive two-volume manual provides detailed guidance for assessment and intervention efforts (Prizant, Wetherby, Rubin, Laurent, & Rydell, 2006). Sheri, parent of a 5 year old with ASD. “The SCERTS Model embodies a framework that is consistent, yet its structure allows for the implementation of a variety of teaching methodologies based on the individual needs of the child. 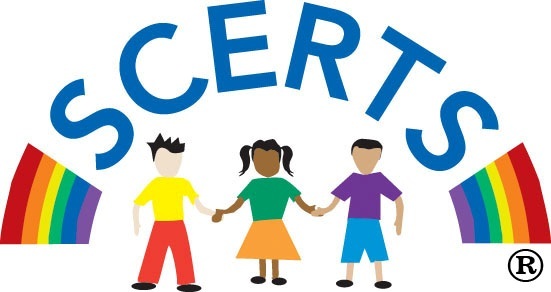 The SCERTS Assessment Process provides all individuals involved (with our students) with a shared understanding when discussing a child’s needs, laying the groundwork for consistency within our schools, and coordinated transition between schools”. ©2007 by Barry M. Prizant, Amy M. Wetherby, Emily Rubin, & Amy C. Laurent. All rights reserved.